We are passionate about the education of children and young adults, and we want to create a better future for the education sector. 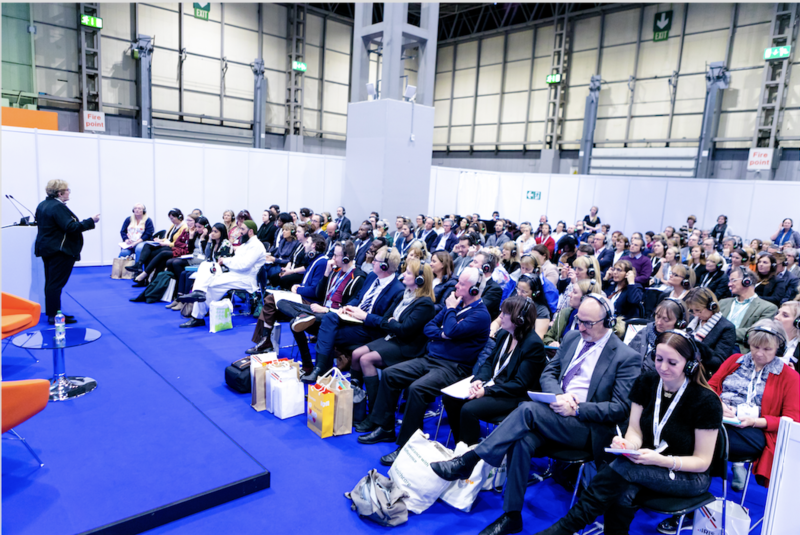 At the Schools & Academies Show, we connect educators with solution providers and fellow educators, building and supporting the education community. Our specialist providers are on hand all over the show floor, where you will be able to find solutions to all the issues in education. Our 150+ exhibitors can provide you with everything you need to improve your school, from back-room data solutions to new play equipment, and from education technology to estate management. Finesse your curriculum with Cornerstones, economise your procurement process with ESPO and YPO. Simplify your back-room data with Iris Education and jazz up your playground with Community Playthings. Develop your school estate with LocatED and enhance your parent engagement with Schoolcomms. Solve your staffing problems with eTeach and get the latest IT and edtech advice with HP and Odyssey Education. With decades of industry experience, use their know-how to make your school the best that it can be. Hear from the education secretary himself, Damian Hinds, on the main stage where he will be giving a speech on the latest education policy. Shadow minister Mike Kane MP will be with us again on day two, giving you a taste of what a Labour education ministry could look like. As ever the Department for Education will be out in force, with everything from benchmarking tips to their new recruitment portal. Join them in sessions across the day, or head along to the Government Education Village, your one stop shop for all your central government related issues. Teams from the Department for Education and the ESFA will be able to answer your questions on capital funding, pupil premium, risk protection and the National Apprenticeship Service. We know you want to hear from the best, so we have brought them to you. Hear from education experts leading sessions on best practice from SEND provision to improved staff wellbeing. These sessions are found across both days and throughout all the theatres, with in-depth case studies examining and analysing what works and what doesn’t. Learn from their mistakes and their successes and apply these lessons in your own schools. Get a detailed breakdown of a MAT budget with Gareth Edmunds of Northern Education Trust, hear the pros and cons of a leadership job share at Frank Wise School and benefit from the knowledge of Dr Susan Ebbels’ work with pupils with speech and language difficulties to name but a few. We have the leading lights of education academics and research groups with us too, ready to give you evidence-based advice. Get to the front of the pack and hear about the trends in education as they emerge. Jisc’s Phil Richards will be offering tips to develop your IT infrastructure, while on the main stage, Microsoft’s director of education will examine the classroom of the future alongside representatives from TechUK and nesta. New this year is our Wellbeing Area, complete with trained experts in yoga, mindfulness and mental health. They will be giving demonstrations on how you can bring calm to the staff room as well as the classroom, with sessions and talks dedicated to senior leaders. There will also be yoga and mindfulness sessions running on the day, for those needing a break from the busy exhibition or seeking some instant zen. All our theatres have specific themes, so whether it’s technology, school improvement or estates advice you require, we have the theatre for you. For example, in our Technology Theatre we have the latest advice from the Information Commissioner’s Office, as well as sessions by Academia, Google and Iris Education to name but a few. 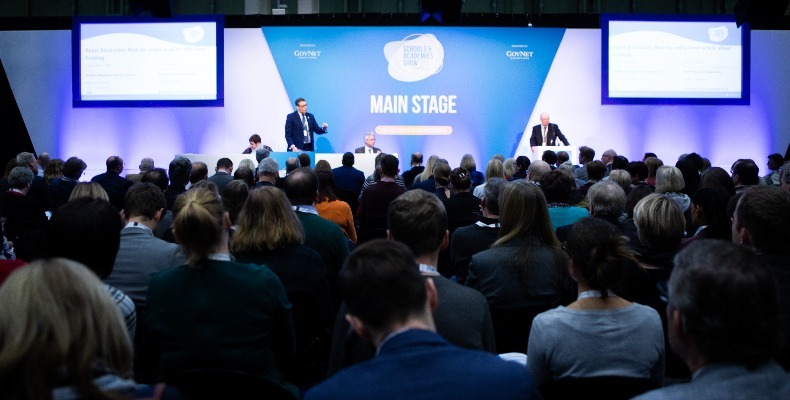 Connecting with other educationalists is at the heart of the event, with over 3,000 attendees forecast over the two days. Hear what has been working at other schools, then meet with the product specialists right there on the day. You have the opportunity to engage with the sector at every level, from ministers to SBMs and SLTs at similar schools around the country. Sector bodies like the LGA, NGA, ISBL, ASCL, nasen and NAHT will be there too, ensuring that your voice is heard. Put simply, this is the event for delegates from all types of school to come together and make their school the best that it can be. The Schools & Academies Show takes place from the 3–4 April 2019 at the ExCeL, London.